Upwork Inc (NASDAQ: UPWK) reported encouraging fourth quarter and full-year 2018 financial results on Thursday. The company posted double-digit revenue growth. According to Upwork, its fourth quarter total revenue was $67.3 million, up by 23 percent from $54.8 million in the same period a year ago. Its market place revenue climbed from $47.9 million to $59.6 million and managed services revenue rose from $6.8 million to $7.7 million. The company’s net loss was $5.4 million or five cents per share, an improvement from its net loss of $11.7 million or 35 cents per share in the year-ago quarter. Its non-GAAP net income was $2.7 million of three cents per share. In the fourth quarter of 2017, Upwork posted a non-GAAP net loss of $8.9 million or 27 cents per share. For the full-year 2018, the company’s total revenue was $253.4 million, up by 25 percent from $202.6 million in 2017. Its marketplace revenue was $223.8 million and managed services revenue was $29.5 million. Upwork said its net loss was $19.9 million or 38 cents per share compared to $10.6 million or 32 cents per share in 2017. Its non-GAAP net loss was $600 thousand or one cent per share compared to $900 million or three cents per share in the previous year. In a statement, Upwork CEO Stephane Kasriel expressed optimism about the company’s profitability going forward. 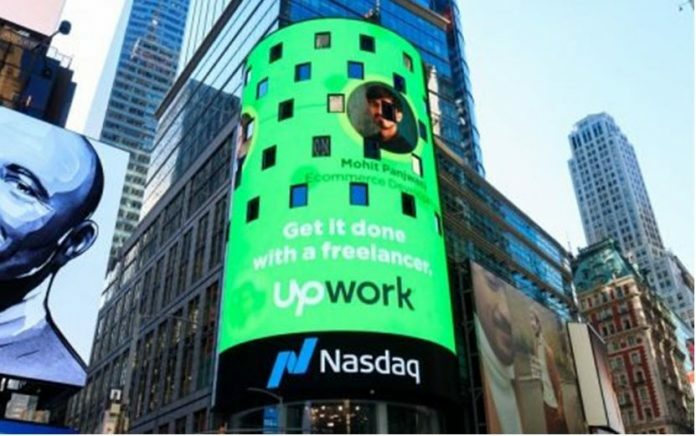 For the first quarter of 2019, Upwork is expecting to achieve revenue in the rance of $68 million to $69 million. For the full-year 2019, the company is anticipating to deliver revenue in the range of $298 million to $304 million.